There’s a movie theater in the Bay Area district of the Golden State with 335 comfortable seats, 70 mm projection, and state-of-the-art sound. The theater shows Golden Dreams, a 22-minute mini-epic about people who came to California—their dreams, their challenges, and their triumphs. 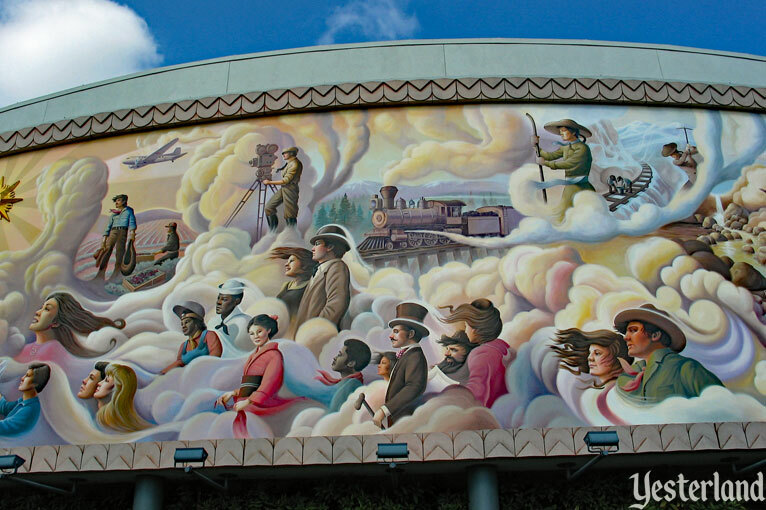 Before you head to the theater’s queue, take a few minutes to admire the mural that covers the otherwise plain building. 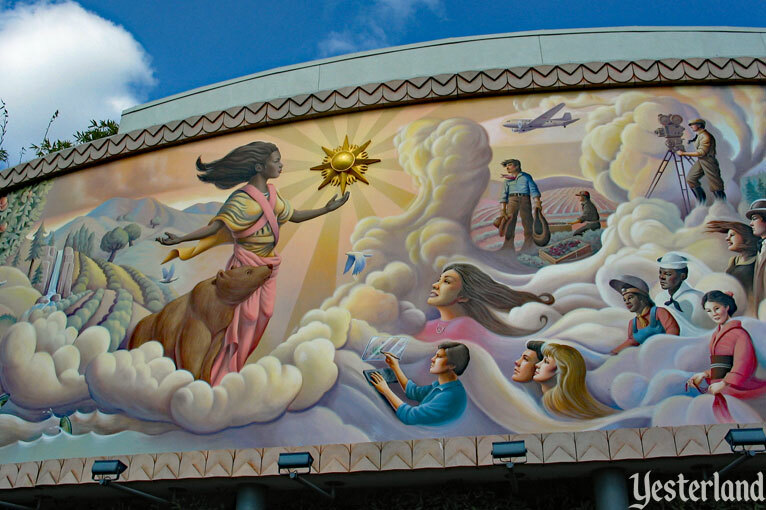 The biggest figure on the mural is Queen Califia. The state of California is said to be named after her. And that’s not something the filmmakers made up. Way back in the 15th century (the 1400s), a Spanish author named Garci Rodríguez de Montalvo wrote a fantasy romance adventure called Las sergas de Esplandián (The Exploits of Esplandian). In this final (and least respected) volume of a five-part series, a queen named Califia rules over an island called California, populated by black Amazons. 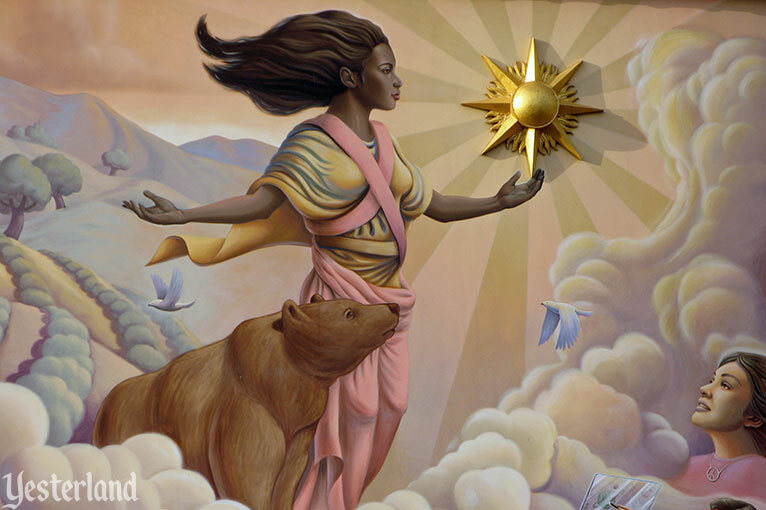 Queen Califia is large, strong, courageous and beautiful. In 1536, Spanish explorer Hernán Cortés and his crew landed on what is now called Baja California. Approached from the south, Baja California appeared to be an island. Had they found the mythical island of California? Well, not really. But the name stuck anyway. 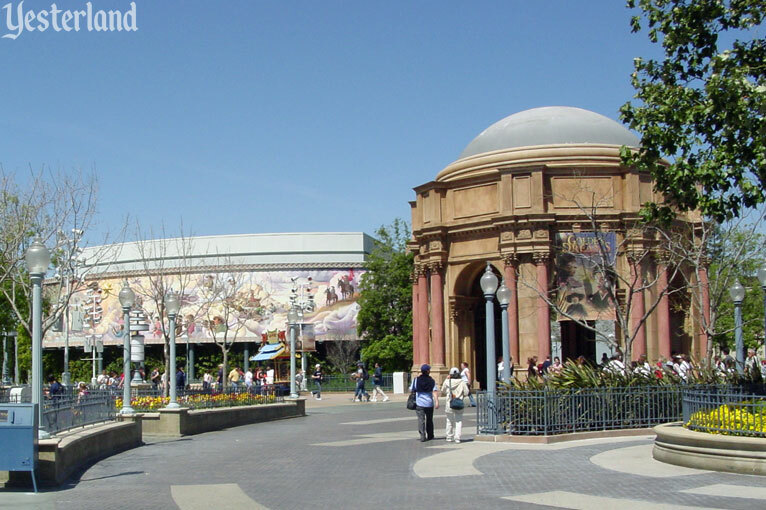 Walk through the majestic rotunda to the not-so-majestic outdoor queue. Are you expecting a pre-show as you wait for the movie? Go back and take another look at the mural. That’s as close as you’ll get to a pre-show here. Don’t worry about crowds. You’re best off getting in line about a minute before the doors open. 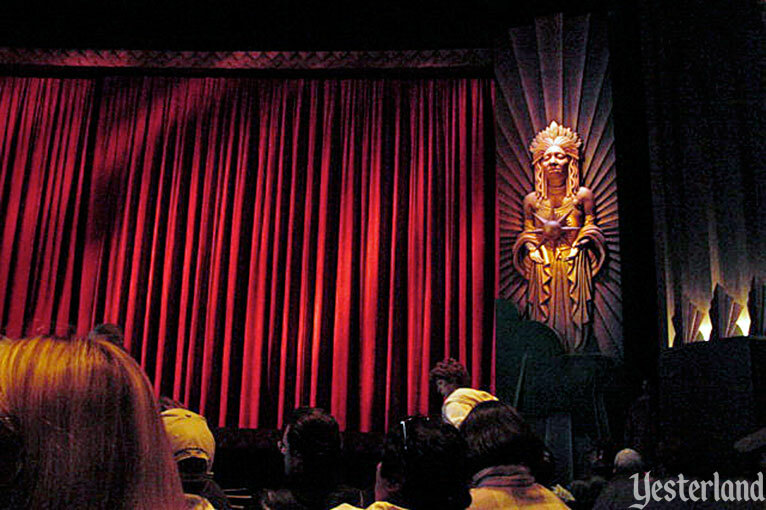 As you enter the auditorium, you’ll see that it’s a simple space—except for huge ornamental statues of Queen Califia on either side of the red curtain that covers the projection screen. The lights dim. The Califia statue at each side of the screen comes to life with the face and voice of Whoopi Goldberg. The movie starts with the Native American Chumash tribe, who settled in California over 13,000 years ago. The Spanish missionaries arrive—and promptly experience an earthquake. A gold prospector during the California Gold Rush is unsuccessful until he gets a little help. Two of the 15,000 Chinese laborers who risked their lives to build the railroad—a father and his son—appear to be victims of an explosion. Irish immigrant William Mulholland brings water to “the little desert town of Los Angeles.” Thanks to the efforts of Scottish immigrant John Muir, Yosemite becomes a National Park. During World War II, women are working in factories. In the 1950s, it’s television, tract homes, and hula hoops. In the 1960s, it’s the Summer of Love. Then Cesar Chavez leads the way toward rights for farm workers from Mexico. 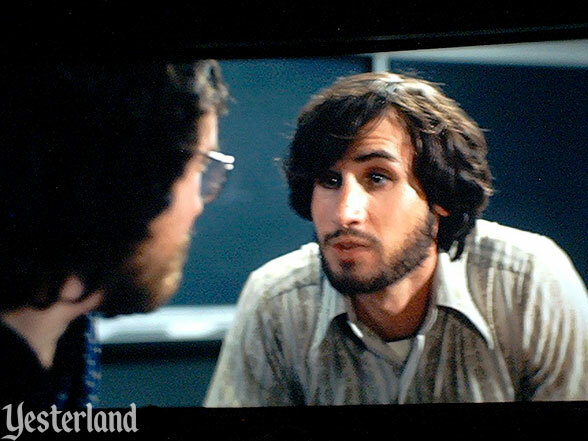 A young Steve Wozniak shows a primitive personal computer prototype to a young Steve Jobs. “We could sell like a dozen of these!” Wozniak claims. “Whadaya talkin’ about? We’re gonna sell one to everyone on the planet,” counters Jobs. Wozniak isn’t so sure. “Dream on, Steve,” he says. 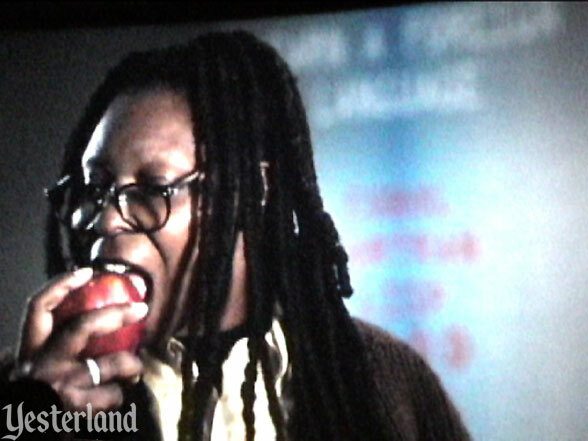 Reacting to Wozniak and Jobs, Califia/Whoopi advises, “Keep dreamin’. Trust me on this one.” She bites into an apple. 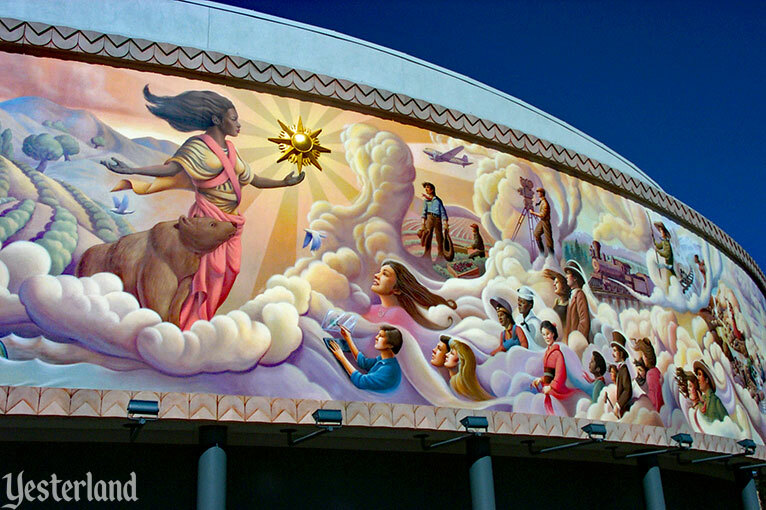 Califia knew what would happen with Apple Inc., but even she didn’t know that the late Steve Jobs would one day be the largest shareholder of The Walt Disney Company, thanks to Disney’s acquisition of Pixar. Accompanied by the song, “Just One Dream,” the movie ends with a montage of film snippets showing famous Californians, often in moments of great achievement. 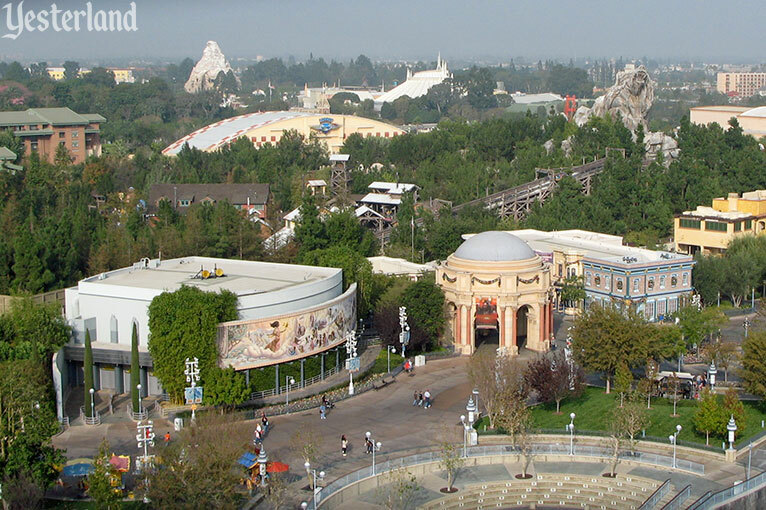 Golden Dreams was an opening day attraction at Disney’s California Adventure on February 8, 2001. 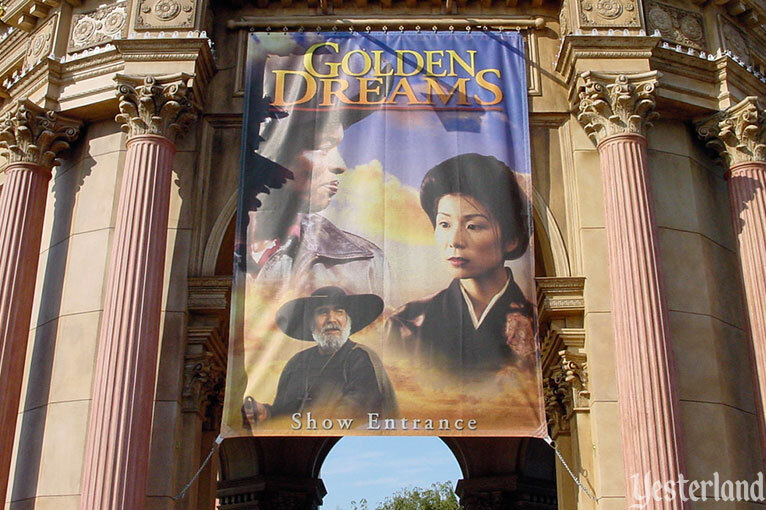 In some ways, Golden Dreams dealt with the California experience in a manner similar to how The American Adventure dealt with the American experience at Epcot: a series of historical vignettes, culminating with a montage accompanied by an inspiring song. 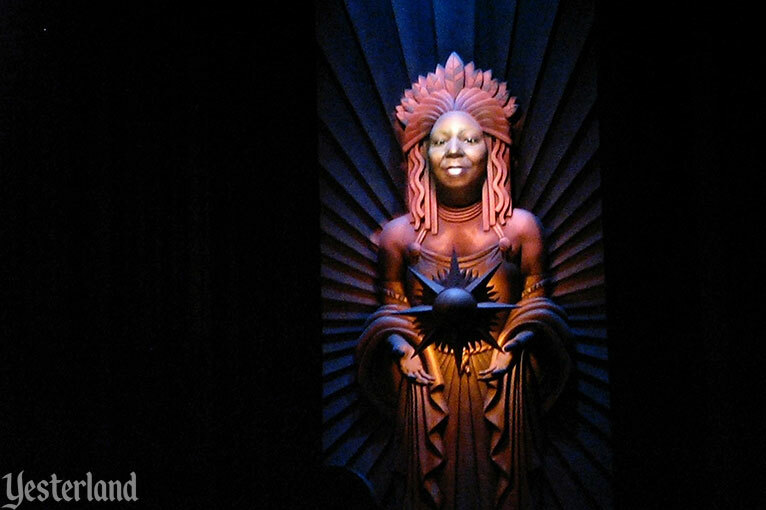 But while the Epcot attraction was done on a grand scale with lifelike Audio-Animatronic figures in huge theatrical scenes, the California attraction was really just a movie, despite the talking Whoopi Goldberg face on the Queen Califia statues. 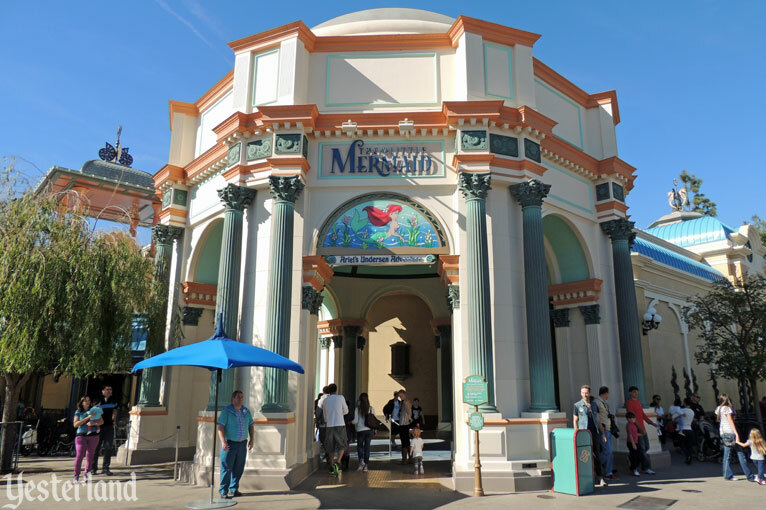 Rumors on the Internet suggested that the original plans for a California history attraction had been much more spectacular, but that the budget had been reigned in. 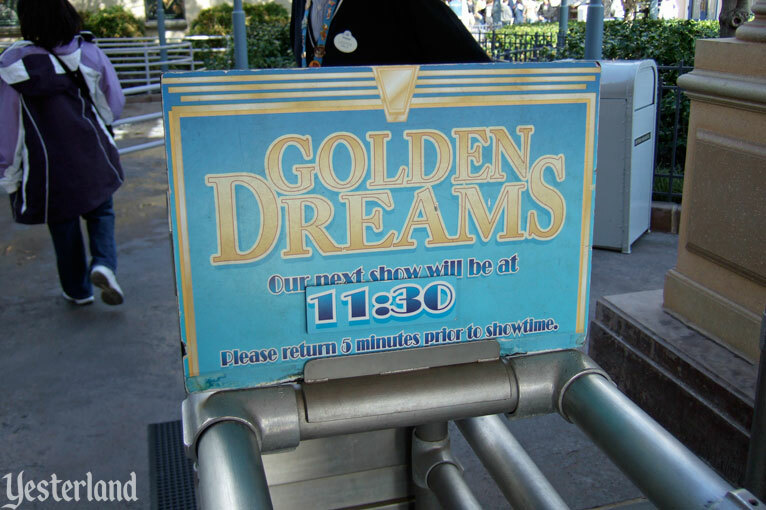 Guests at California Adventure watched Golden Dreams—but usually only once. 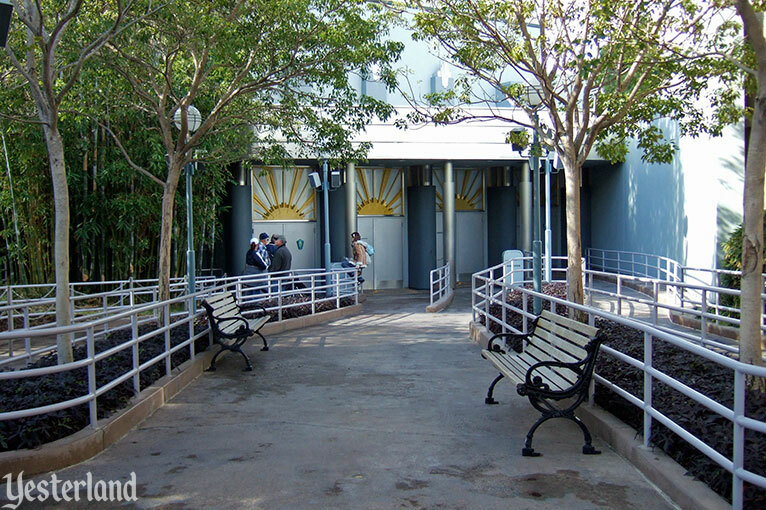 On return visits, they ran to the long lines at Soarin’ Over California, while Golden Dreams played primarily to empty seats. The gimmick of having Califia interact directly with many of the characters in the movie was a clever touch. 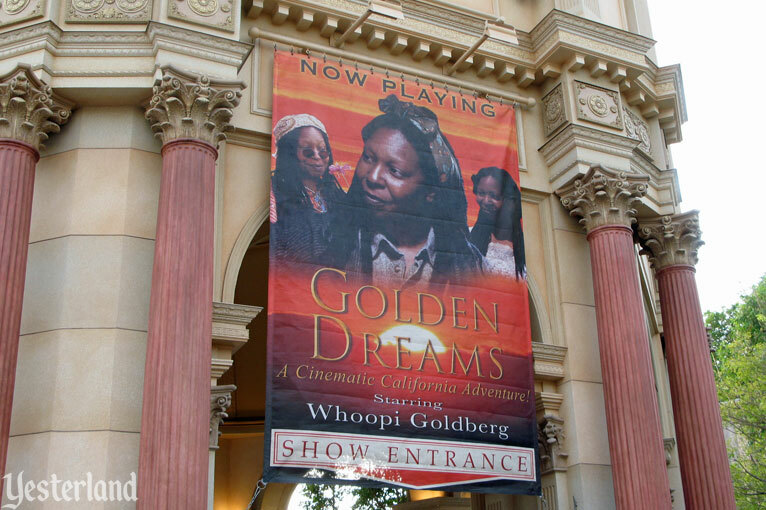 Whoopi Goldberg, whose honors include an Oscar, an Emmy, a Grammy, and a Tony, brought warmth and humor to her role as Califia. Do you recognize the rotunda? It’s based on a real structure in San Francisco. 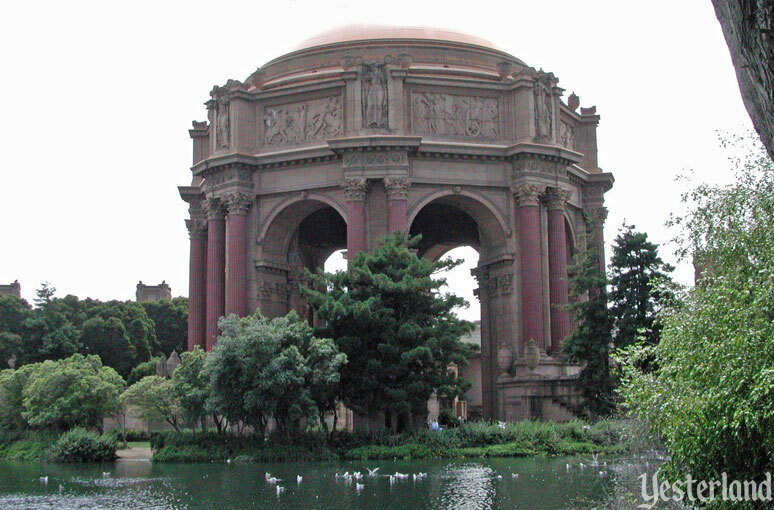 The Palace of Fine Arts is a remnant of the Panama Pacific International Exposition, a world’s fair held in San Francisco in 1915. The domed landmark was designed by prominent architect Bernard Maybeck (1862-1957) in the Beaux-Arts style. Although originally built as a temporary structure of “staff” (plaster and cloth fiber) over a wood frame, the Palace of Fine Arts is still there today. The effort to preserve the Palace of Fine Arts began while the Exposition was still open in 1915. The aging monument slowly deteriorated until the 1960s when it was finally rebuilt in concrete. The main rotunda and columns were completed in 1967. The colonnades which had originally flanked the monument were added in 1975. 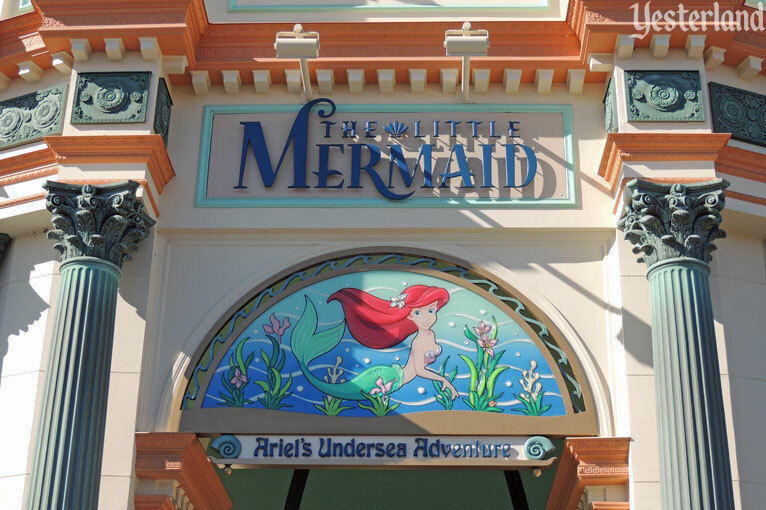 If you compare the Disney version to the original, you’ll notice that the original has an elaborately decorated frieze, but the smaller Disney version does not. The final day for Golden Dreams was Sunday, September 7, 2008. At least that was the final day it was shown to the public. The banners came down, but the movie was still presented on a limited basis to school children as part of the Disney Youth Education Series (Y.E.S.) program. 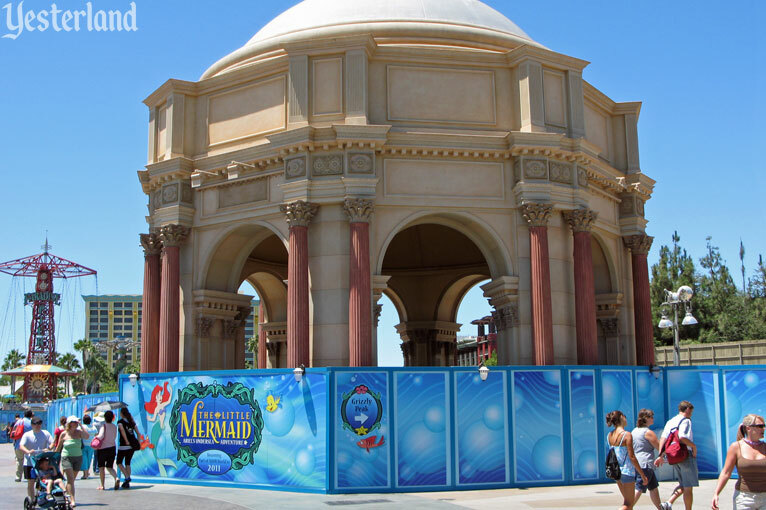 The Golden Dreams theater was demolished in July 2009 to make way for The Little Mermaid: Ariel’s Undersea Adventure, an elaborate dark ride. 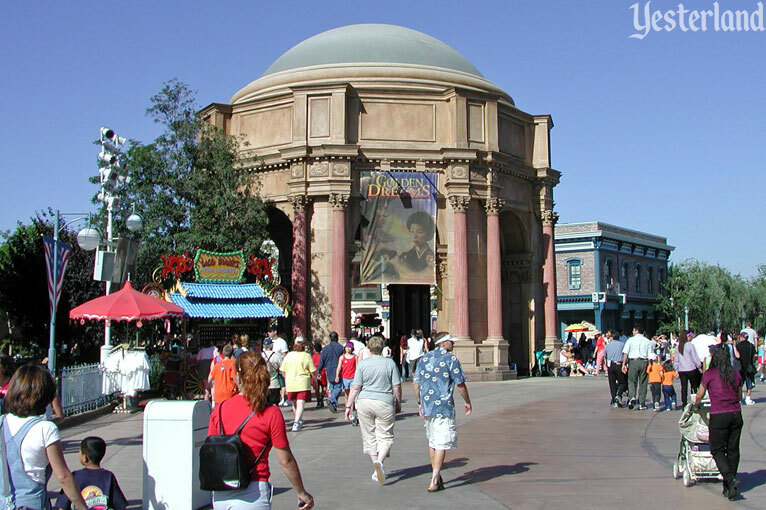 The rotunda would become part of the new attraction’s exterior. 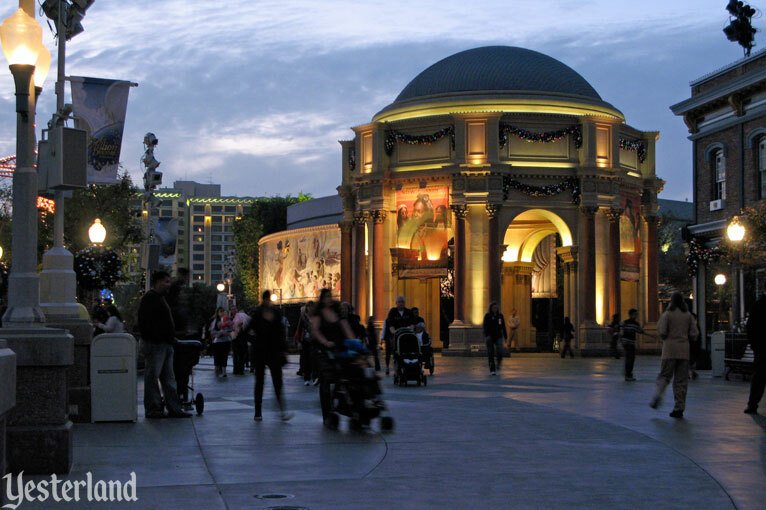 Disney spent over a billion dollars to improve Disney’s California Adventure. 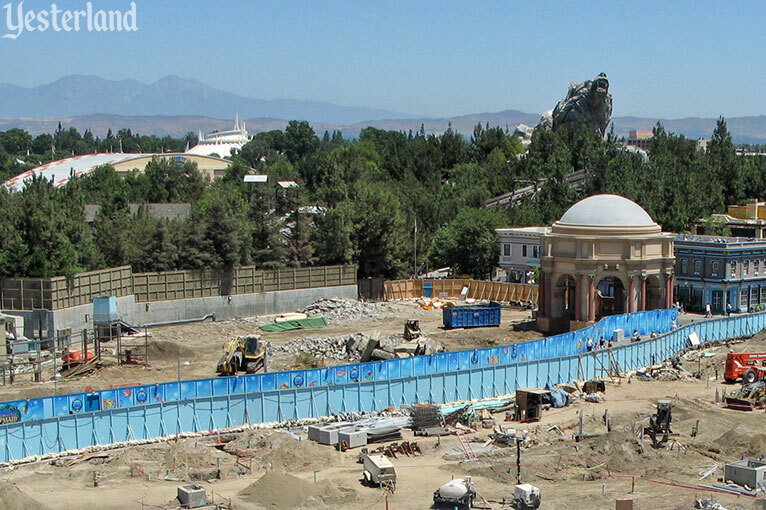 Even with that kind of budget, it was smart to save and reuse infrastructure and many of the better elements of the park.